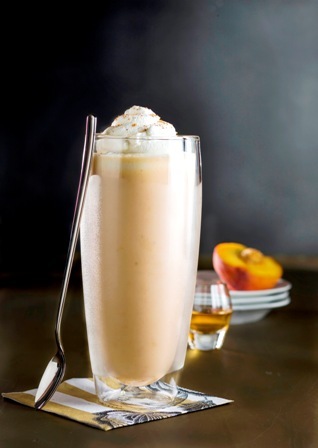 This is a creamy flavor with vapor galore, subtle on the peach like a famous diner or home-spun peach milkshake. The blend of ice cream, peaches and whipped cream notes make this an enjoyable all-day vape. One of the best flavors out there! This was my first purchase from Altcig and it will not be my last. Its like pouring a peach milkshake straight into your tank. Simply the best flavor and vapes awesome in my Iclear30s tank. Warning! You may become highly addicted to Peachy Shake! There is no denying the PEACH in this one. A crisp clean juicy peach inhale with cool vanilla ice creaminess on the exhale. Tastes like the real thing, none of that artificial tasting stuff here. So far, all the milkshake flavors I've tried have been pretty incredible, true-to-their-name flavors. Kudos to the Altcig team for an amazing vape experience! This liquid is what I've been waiting for! Absolutely the most decadent peach flavor I've ever experienced. Real peach flavor, immersed in creamy vanilla ice cream - topped with whip cream. It truly tastes exactly like that! Mild throat hit @ 12mg and voluptuous clouds of vapor. Hans n Bob are mixing gods! You thought you had a good peach vape b4!? I really REALLY like how the peach is the highlight in this vape. We're talking genuine peach flavor too which is surprising because almost every other peach vape i've ever tried in the past has been that funky "Peach booze" flavor or artificial candy like and I really wanted something authentic. I drop about 5 drops of Coolio into all my AltCig milkshake 30mls and it gives it that extra "cool" inhale and exhale experience. Trust me you gotta try it!! Okay, i'm thinkin this one needs a few weeks steeping, i'm loving the lightness of the vape, travels beautifully thru the carto, but i'm only getting the peach and not enough of the milkshake. but i've noticed the last coupe of days, the milkshake has started to come out and play', so definitely gets better as it steeps. First I want to say, I do not like peach candy, peach liquor, and not even peach pie very much. I love fresh ripe peaches, the ones u get once a yr from the fruit stand. This vape reminds me of just that. The smell, the taste the vapor, fresh peaches and ice cream. Its so spot on u will think it should go in the frig!! All altcig milkshake juices are like that. Lil bottles of fairy dust infused heaven! :) good luck in finding a fav.